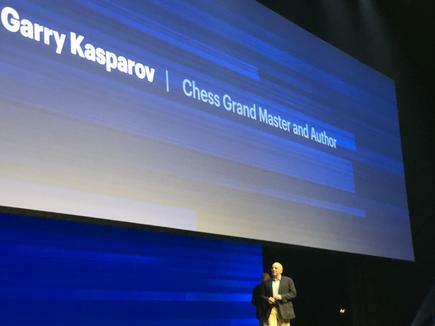 It has been more than 20 years ago when Garry Kasparov lost a six-game chess match against the IBM computer Deep Blue. “Many thought that was the end of the game of chess,” says Kasparov, who is considered the world’s greatest chess player. But, as he points out in his keynote at the Gartner Symposium ITxpo in the Gold Coast, the game “is more popular than ever now”. He also has an upbeat take on the rise of intelligent machines, such as the one that beat him two decades ago. He says most discussions around artificial intelligence (AI) see its rise as “the end of the world”, likening it to Pandora’s box. 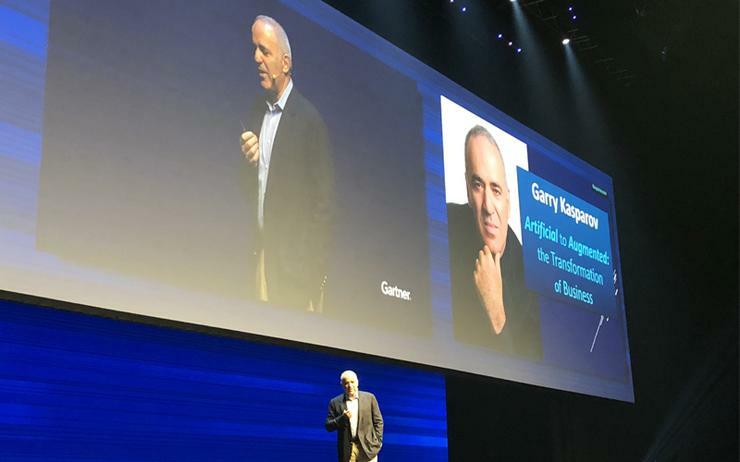 “AI is not a Terminator, it is a tool, it is a disruptive technology,” Kasparov tells the more than 2000 business technology leaders at the Gartner conference. He says it is a mistake to think that machines can be superior to humans. “Absolutely not.” Machines are getting more sophisticated and many say they will kill so many jobs, cause unemployment. But technology has always made many jobs redundant and created new jobs, he says. “We just have to understand what are the opportunities coming from that.” He says slowing AI down will not do any good because it will just protract the agony. “It will be painful but it will create new industries and potentially, financial cushion” for humans. Even at my age, I can see a future for my generation because in this new relationship with our computers, we have to use our experience, our wisdom,” he states. He believes the most effective combination now will be humans compensating for the deficiency of machines. He points to a quote from the artist Pablo Picasso that “computers are useless, they can only give you answers.” But, he says, it is still the domain of humans to ask the questions. He also prefers the world ‘augmented’ over ‘artificial’ in describing AI. 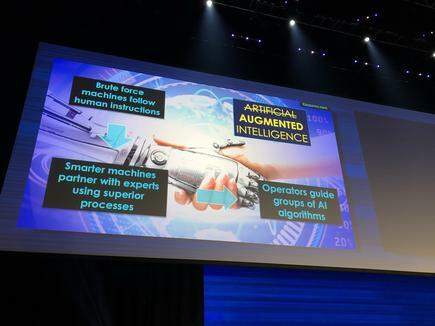 “We are reaching a new phase in this (human and machine) relationship,” he says. He sees humans as operators or sherpas who will have to guide groups of AI algorithms. At the same time, more intelligent technology is easier to use, requiring less training and retraining. Some people will be promoted. Most will be replaced. While a luddite attitude isn't the way forward is irresponsible for us to pretend that it'll all just work out ok. We need to make sure it does. I agree. Many people will be free from drudgery and use that freedom for more creative or productive pursuits (both terms highly subjective). But many will not. Either way, all of us need at least a minimal share of the overall productivity, and greedy moralizing be damned.